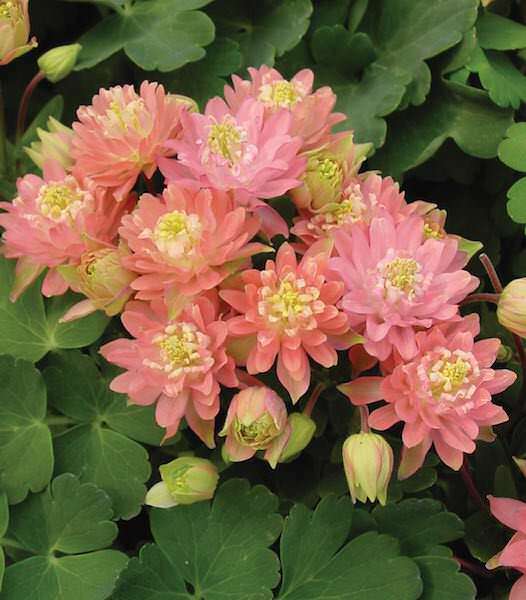 Blooms are a clear salmon-rose color, a shade easy to blend with other colors. Clementine Salmon Rose columbine is a superb cut flower. Winter hardy to zone 4. A Fleuroselect Approved Novelty.